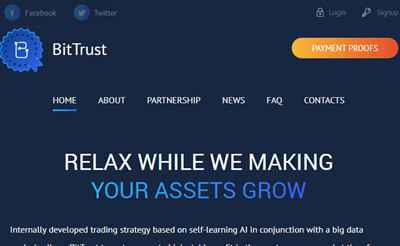 The ambitious team of professionals, who know all the moves in cryptocurrency trading, founded the Trust Broker Services Limited. Trading company is in a position to get the high liquidity of the cryptocurrency buy/sell transactions. Only proficient traders, who have wealth of experience and expertise in the stock market, work in Trust Broker Services Limited company. Today they successfully put their knowledge to use by trading of cryptocurrencies and getting the high level of return. Our specialists integrated their own strategies into the working process, thus making possible to diversify all risks in a very effective way. Our company has the analytics department that researches the factors, which can affect the rise or devaluation of cryptocurrency rate.